Is all of this book filled with Polonius gunk? No. Most chapters delight or provoke in some way, if you mentally redact the fortune-cookie sentences (of which there are mercifully fewer in the second half). 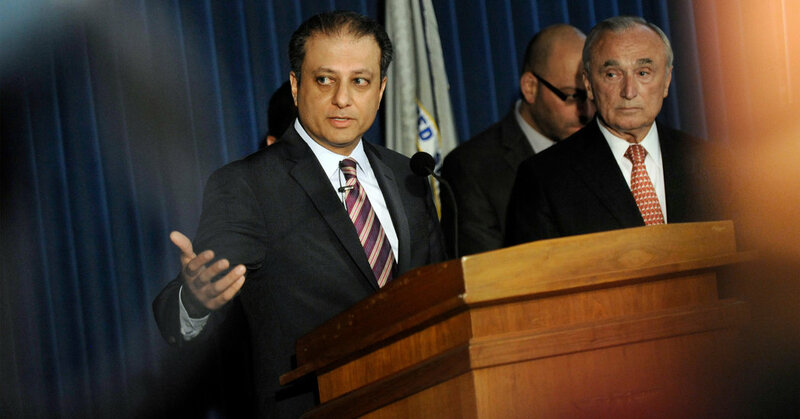 Bharara divides “Doing Justice” into four parts — Inquiry, Accusation, Judgment and Punishment — thereby following the rhythms of a criminal case, and almost every chapter returns, either directly or via roundabout, to Bharara’s basic contention, pithily summarized on Page 58: “In the end, the law doesn’t do justice. People do.” (This is a popular theme of his podcast, too: that democracy depends on good-faith actors to function properly.) His book is ultimately about ordinary fallibility, and how those responsible for the dispensation of justice are regular humans, prone to act as humans do. It is filled with sobering stories about error and — in the more beautiful, memorable cases — ingenuity, determination, redemption. There’s a chapter about the difficulty of overcoming confirmation bias. There’s a chapter about the paradox of the cooperating witness, who’s high in information and low in character — “the linchpin of your case is also your Achilles’ heel.” There are chapters about the futility of torture, the difficulty of determining fair sentences and the importance of walking away from a case, even when there are sunk costs. Bharara, who enjoyed a high profile and (mostly) favorable press attention during his tenure from 2009 to 2017, does not show a lot of leg in this book, nor does he settle many scores. Yes, he tweaks The Wall Street Journal for highlighting the fact that he went after Raj Rajaratnam, a fellow immigrant from the same region of the world. “My goodness, there’s a South Asian defendant, and there’s a South Asian prosecutor!” he writes. “You know where this happens every day? India.” But he says virtually nothing about SAC Capital’s Steven A. Cohen, whose wolfish appetite for insider information Bharara’s office could never quite prove, and his words about Trump, the man who fired him, are few. And why is this, exactly? Considering Bharara’s emphasis on old-fashioned values — duty, discretion, decency — and their application to the law, it seems strange that he wouldn’t offer some words about what happened to the United States on Nov. 8, 2016, when the worst-faith actor imaginable was suddenly elected president. Did the country have a heart attack? Or is it merely undergoing a stress test? The first thing we do, let’s revive all the lawyers. Bharara, as usual, makes a very strong case.